The room where Fatty Arbuckle held the famous booze party. Who knew that pregnancy meant I would end up sleeping next to the room that brought down the Chris Farley of the 1920’s? My husband has a penchant for selecting hotels where cool stuff happened, probably because he knows I like old hotels, and old hotels have been around long enough that at some point someone did something interesting in them. He says he picks them out because he knows I like history, but I suspect it also has something to do with him secretly hoping to run into ghosts. He loves ghosts, ghost stories, pretty much anything to do with ghosts. He is absolutely certain ghosts exist, but they never show up at the local Howard Johnson. We all know that if you want to run into ghosts, you need to book a room at a beautiful but creepy old hotel where lots of beautiful but creepy people used to stay. One time when we were dating, he booked us a trip to Los Angeles where we stayed at the Hollywood Roosevelt, built in 1927. 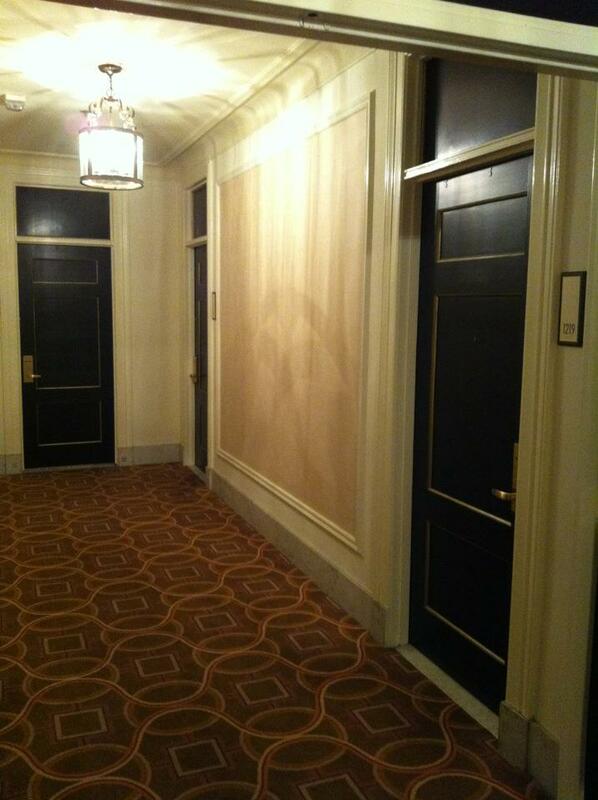 Turns out, the Hollywood Roosevelt is supposed to have the ghost of Marilyn Monroe running around inside. She used to stay there a lot. 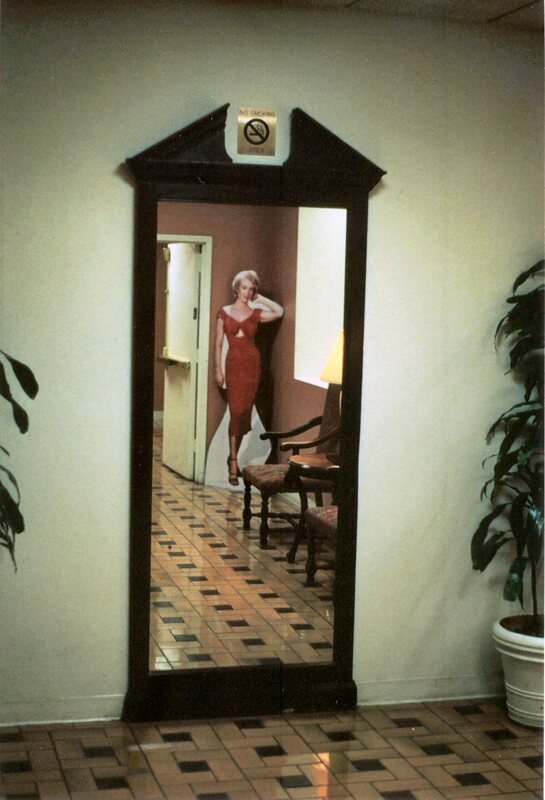 Allegedly, her ghost sometimes appears in one of the hotel’s full-length mirrors. Of course, John doesn’t bill these places to me with the ghost thing, because he knows I have two basic thoughts on ghosts: 1. They don’t exist, and 2. I’m super afraid of them. Yes, it’s illogical. Intellectually, I can’t imagine why ghosts would exist. Even if they did exist, there’s no reason to think they could hurt you, but put me in a dark old building and start making creepy noises and I will run screaming out of the place like I just saw an axe murderer. I can’t explain it. So my husband and I decided to take our babymoon in San Francisco when I was seven months pregnant. For those of you who haven’t heard the term, a “babymoon” is a vacation for you and your partner to enjoy your last moments of just being a couple, the last hurrah celebrating the freedoms of single-hood before extreme commitment hits (sounds more bachelor party than honeymoon to me). Still, we decided to listen to everyone and take a babymoon. Since I’m so pregnant, going anywhere that requires plane travel hardly seemed optimal, so we decided to drive a couple hours into the City to see Alcatraz and other touristy stuff before battening down the hatches. My husband booked a couple nights at the Westin St. Francis hotel, following his pattern of finding neat historic places for me while secretly hoping to see a ghost. It turns out that the Westin St. Francis was the site of the famous party that brought down Fatty Arbuckle’s career. Who is this Fatty Arbuckle, you may be wondering. 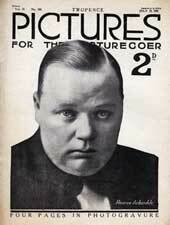 Well, Roscoe “Fatty” Arbuckle was the John Candy/Chris Farley of the 1920’s. He was a rotund comedian who was as popular as Charlie Chaplin at the height of his career. His wild success, however, came to a screeching halt after September 5, 1921, when Arbuckle and some buddies held a party in a suite at the Westin St. Francis. Virginia Rappe was a young starlet who attended the party, along with her friend Maude Delmont. Late in the afternoon, Arbuckle called a doctor for Virginia, who was sick, then went about his actor business. A few days later, Virginia died at the hospital. When the police questioned Maude, she claimed that Virginia been sexually assaulted by Arbuckle at the party. This was a scandal of epic proportions in its day. First, there was a shocking party where people were actually drinking alcohol (remember, Prohibition was in full swing). Then, you have a young, naive girl who comes to the big city and gets taken advantage of by a pack of godless Hollywood celebrities. It was the nightmare every parent probably warned their starstruck daughters about in the 1920’s. The public was in a frenzy, wanting to string Arbuckle up the nearest tree. Every newspaper was splashing the scandal across their front pages. Raised pitchforks aside, Arbuckle went through two hung juries and finally was judged “not guilty” after a third trial. It turns out Maude Delmont had a long history of trying to blackmail people, among other criminal endeavors. She liked to lure men into hotel rooms then try to extort money from them during divorce proceedings. And what do you know? They found a letter Maude had written, outlining her plan to extort money from Roscoe. Maude couldn’t be called as a witness after the first trial and since there was really no other evidence of sexual assault, Arbuckle was finally acquitted. He was not, however, cleared in the court of public opinion. His reputation was forever tarnished. He couldn’t find work. Most of his films were banned, even though he was officially innocent of all charges. He spent his fortune defending himself and started drinking heavily, dying of a heart attack at age 46. It’s a very sad story. If Virginia really did die because of nefarious happenings that night, then she would make a perfect tragic figure for haunting up the joint. If she didn’t, then there is still some very bad juju there. And if ghosts are running around anywhere, they may as well be running around a creepy hotel in San Francisco that’s been around since 1904.